At a time when many rivals have 75-inch TVs well over £3,000, Chinese firm Hisense has blown them out of the water with this - the 75M7900 (don't you just hate these 'catchy' TV names?). Featuring HDR (High Dyamic Range)tech - bringing imporoved colour range, whiter whites and blacker blacks - and, of course, 4K, the TV has a super slim body with metallic finish (see below). BBC iPlayer, Amazon Instant Video and 4K Netflix are all present as standard (plus you can stream from devices on your home network as you'd expect), while there are four HDMI sockets for all your gear. Two of these are HDMI 2.0 compliant (HDCP 2.2), which means you'll have no problem plugging in Ultra HD Blu-ray and other similarly boxfresh devices. The TV is powered by a quad-core processor, so everything should be fairly zippy. There are also three USB ports for powering something like Chromecast, plus optical audio. 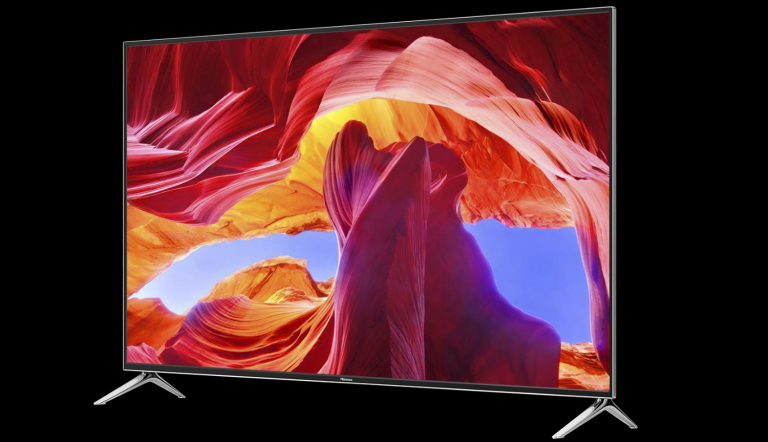 Buy the Hisense75M7900 75-Inch 4K UHD 3D Smart LED TVand check out our guide to the best 4K TVs.